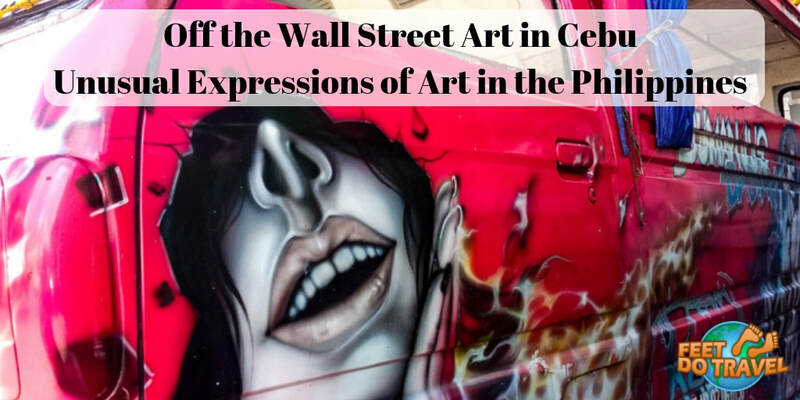 How would you describe Street Art? Is it graffiti on a train, spray painting on the side of a building, maybe a wall mural. What is YOUR definition of Street Art? I believe street art to be any form of expression in a public place, but it’s only living in Moalboal, Cebu, Philippines that made me question my view of street art. Outside of Manilla, Street Art per se doesn’t appear to exist in the Philippines. Manilla has the Filipino Street Art Project, a paradise for art lovers, and renowned Filipino street artists have filled the City with colour. As a mural art lover and no street art in Moalboal, how was I to get my “fix”? When asking myself this question, a colourfully painted Jeepney drove past me, and suddenly I found my street art! Jeepneys are a cheap form of public transport in the Philippines, and no two are the same – what an original way for me to search for street art in Moalboal and Cebu! Feet Do Travel show you off the wall street art in Cebu, unique expressions of art in the Philippines. The Sardine Run in Moalboal, Cebu, Philippines is better than South Africa. Whoa! Now that is a bold statement to make – what can possibly be better than seeing billions of sardines? The (almost) guaranteed sighting of millions of sardines every single day of the year is the answer. 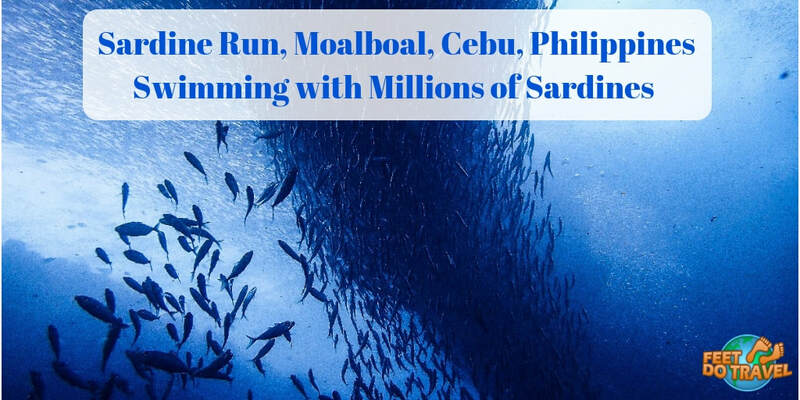 The Sardine Run in Moalboal is a year round natural phenomenon. It’s completely ethical - they are not fed by humans and are marine protected. As filter feeders, they stay close to the surface which means you can snorkel the sardines by walking out from the shore at Panagsama Beach. Nothing can prepare you that first glimpse; a giant sardine ball so thick it blocks out the sun. If you are a scuba diver because you love seeing fish, Moalboal is the place to add to your bucket list. But does it live up to the hype? Will it meet expectations? Feet Do Travel show you their experience of swimming with millions of sardines in the Philippines, at the Sardine Run Moalboal, Cebu. Ahhh The GIli Islands. 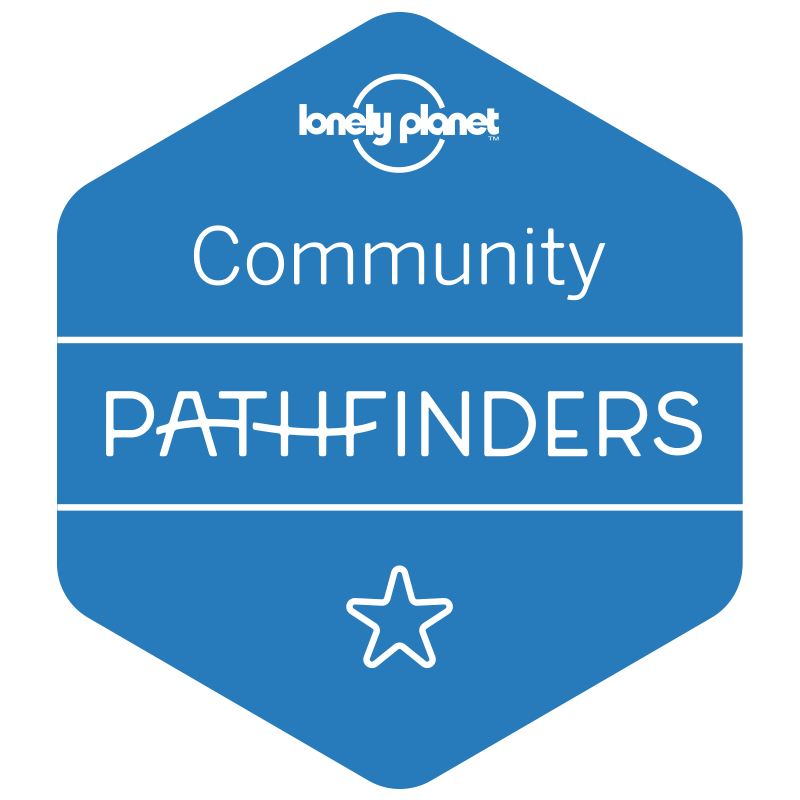 Once an off-the-beaten-track backpacker hang out, they have grown to be a popular tourist destination for anyone seeking time out, or a place to truly relax. The secret of the Gili Islands is out. There is something very special about the Gili’s. For me, Gili Air is the perfect island, a place we called home for 15 months. I won’t lie, my heart is still there. The Gilis are one of the few world-wide islands without cars. That’s right – no motorised transport allowed, isn’t that blissful? 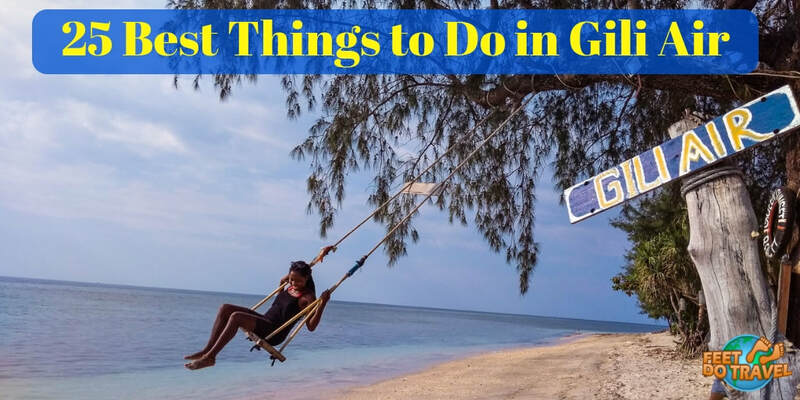 Spending so much time here made us realise, there is so much more to Gili Air island. If you don’t just want to laze around in a beach hammock sipping from a fresh coconut (although surely that is the definition of paradise? ), there is plenty more to see and do. If topping up your tan doesn’t suit you, Feet Do Travel show you 25 of the best things to do in Gili Air. ​One of the best things about visiting any location is learning about the culture and the local people’s way of life. It is fascinating to discover what makes each and every country unique. Thailand is a place that is well known for having lots of character, intriguing culture and a vibrant ambience. 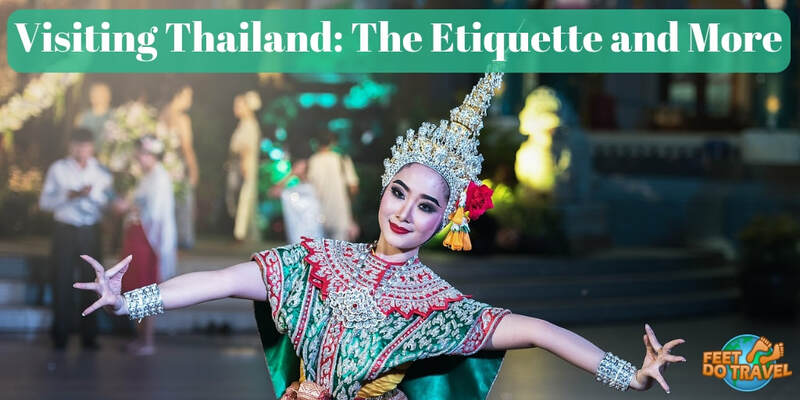 This blog post will provide you with all of the information you need to know regarding Thai customs and etiquette. So, keep on reading to find out more. Angkor Wat is the epitome of Khmer architecture. It’s a rite of passage for travellers in Cambodia to visit Siem Reap’s iconic temples which attracted 2.6 million visitors in 2018. What I didn’t realise is that Angkor Wat isn’t just one Temple, but a huge Temple complex housing many stunning, ancient buildings. Named a UNESCO World Heritage Site in 1992, Angkor Wat is considered to be one of the seven wonders of the world, and is the most important religious complex in South East Asia. Within the Angkor Archaeological Park, there are around 72 Hindu and Buddhist Temples dating between 9th and 15th Century. So how do you choose which temples to visit? Should you buy a one-day pass or three-day pass, and how much do they cost? What are the best temples to visit in one day? Which is the best temple for sunset? 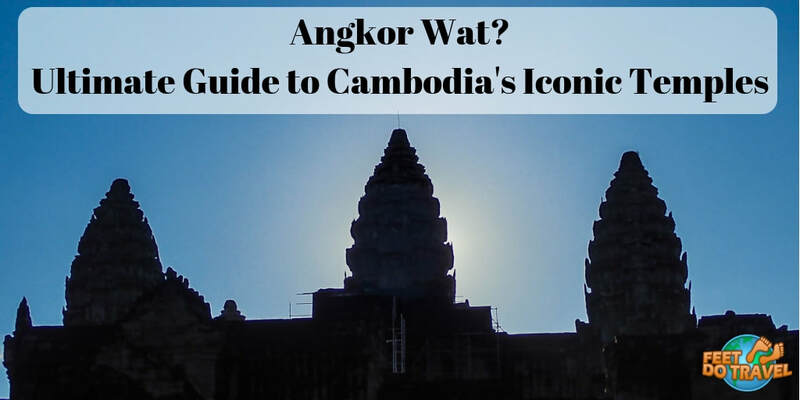 Is sunrise at Angkor Wat worth it? Where was Lara Croft Tomb Raider filmed? Feet Do Travel help answer these questions. This is our ultimate guide to Cambodia’s Iconic Temples; Angkor Wat and the best temples to visit in Siem Reap. Sitting on my balcony in Leyte, listening to the waves gently lapping against the shore, I looked out over Sogod Bay. Somewhere out there are whale sharks. The gentle giant of the ocean and the largest fish in the world. 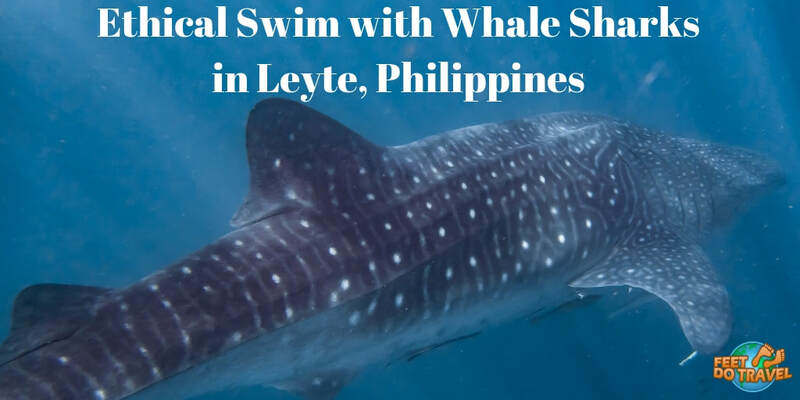 In the Philippines you can swim with whale sharks in Oslob, Cebu where sightings are 100% guaranteed, but as a responsible traveller, we chose to visit Southern Leyte. The reason? They offer the best place for whale shark watching in the Philippines in a natural, sustainable way. No feeding, no touching, no ticket numbers, no queuing up on a beach for two hours with hundreds of other people in the blazing sun waiting for your allocated slot, no man with a mega phone yelling that your 30 minute time is up. 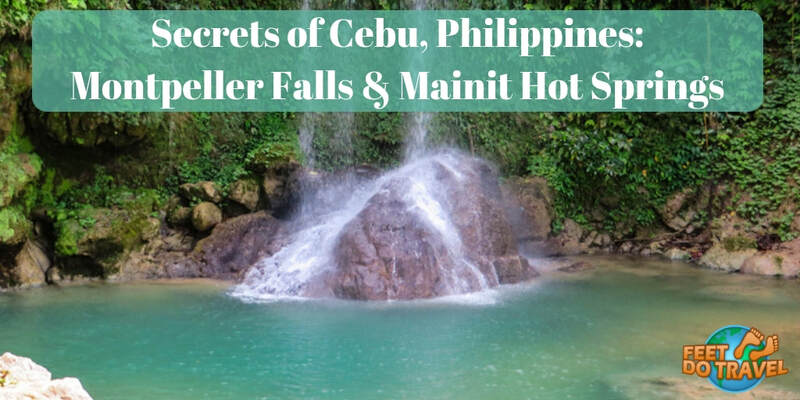 Swimming and snorkelling with whale sharks in the Philippines is big tourism, and Oslob, Cebu has the most un-natural, circus style experience you can have. 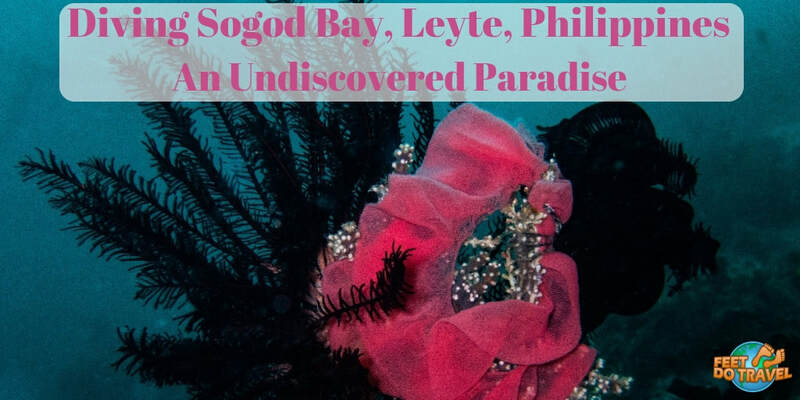 In contrast, Sogod Bay in Southern Leyte offered the most sustainable swimming with whale shark experience in the Philippines. 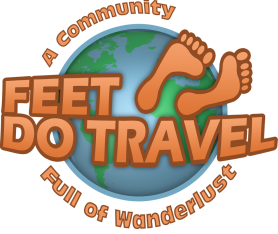 Feet Do Travel show you that it’s possible to swim with whale sharks ethically in the Philippines. 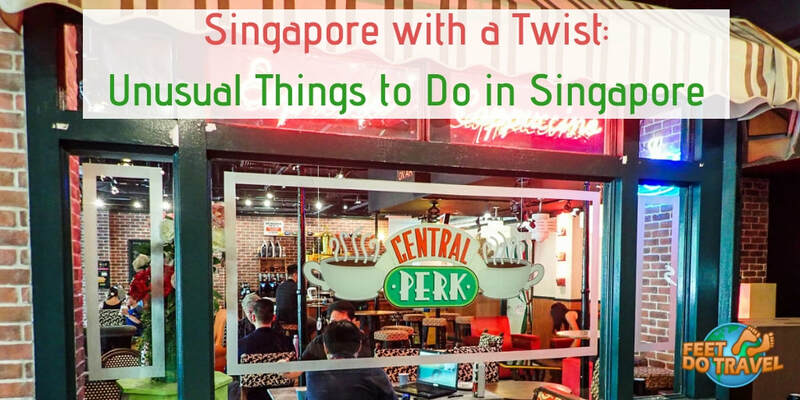 Visiting Singapore and looking for unusual, alternative or non-touristy things to do? Join the club, because when we were in this City-State, we sought unique things to do, unusual places to visit and different places to eat. Singapore is one of the world’s most popular cities to visit. With a low crime rate, it was voted the safest City in the World in 2018, so naturally it’s a place where tourists want to spend time. Whilst there are many things to do in Singapore, sightseeing like a local will give you a better appreciation. From Street Art to the Singapore Grand Prix this guide is for everyone whether you are on a budget, or happy to let the money fly. We discovered a different side to this sprawling metropolis, so let Feet Do Travel show you Singapore with a twist; 21 unusual things to do in Singapore. 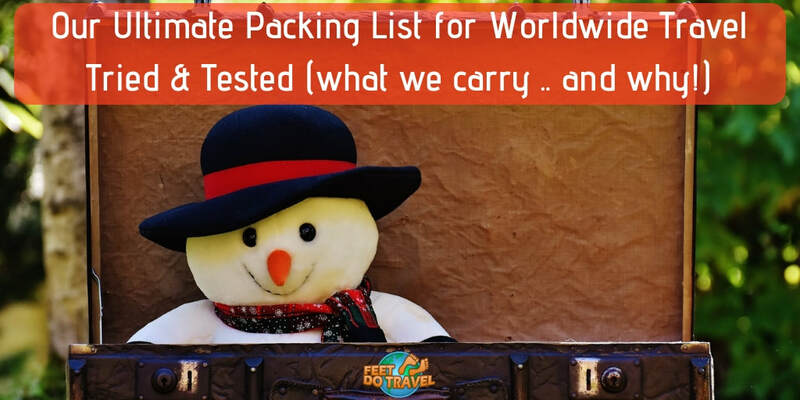 Never leave home without Travel Insurance! 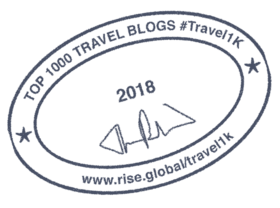 We use and recommend World Nomads as they also cover us for Scuba Diving! Click here to get a quote TODAY!